Three Times a Charm is a weekly feature that spotlights authors, illustrators, bloggers, agents, editors or promoters from children's publishing. 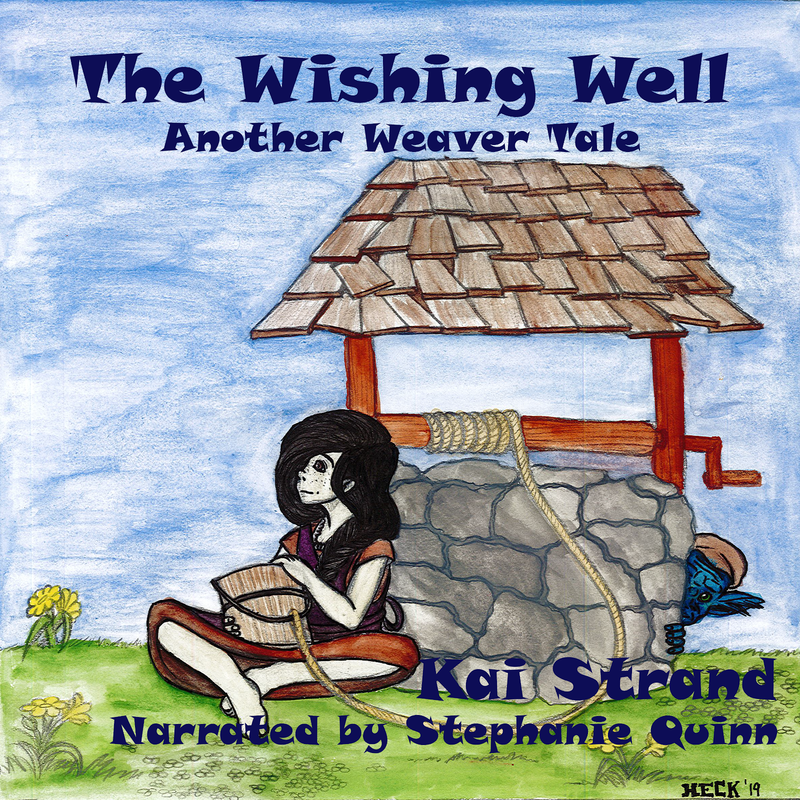 Kelly Hashway writes short stories and books for children of all ages. 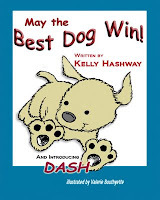 Kelly’s debut picture book, May the Best Dog Win, released April 30, 2011 through FutureWord Publishing, and she recently signed a contract with Guardian Angel Publishing for her second picture book. Her middle grade and young adult works are represented by Lauren Hammond of ADA Management. Wow, Kelly, it sounds like you are on fire! Tell us about your current title. 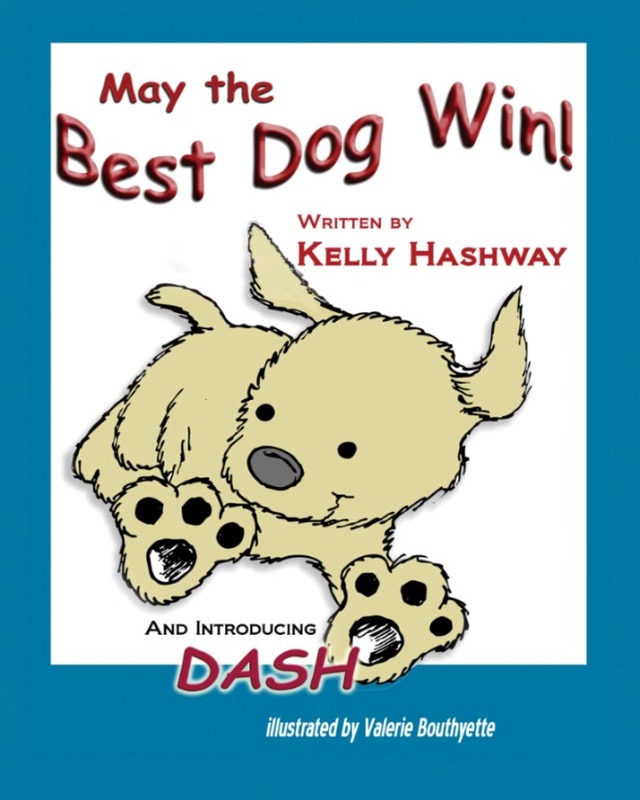 May the Best Dog Win is the story of Dash, a mixed breed dog who has the perfect life until the Super Sweeper 5000 shows up on his doorstep. Sweeper runs all over the house sucking up the leftover food scraps, and he even gets his own room! But Dash won’t give up his place as the favorite dog without a fight. Sounds adorable! I can think of several kids I know who love dog books. Hush, Hush and Crescendo by Becca Fitzpatrick are two great books I recently finished. I devoured them both. I wasn’t even a fan of angel books, but these kept me interested and before I knew it, I was in love with the characters and the story. I can’t wait to read Silence, the next book in the series. For the third book, I’d have to say Cross My Heart and Hope to Spy by Ally Carter. This was just a fun read. Who doesn’t love a good spy book, especially when the spy is a girl? Top 3 pieces of advice for people just starting in your business. First read everything you can get your hands on because the best way to learn about the craft is from the people who do it best. Second critique other people’s work. You really learn a lot about your own writing by reading the work of others and finding ways to make their writing stronger. It’s not always easy to see weaknesses in your own work, but you can recognize it other people’s writing and then you’re not only helping someone else, but you’re also helping yourself become a better writer. And third, celebrate the steps along the way. This is a tough industry, and small successes deserve attention. Take the time to be happy about finishing the manuscript, about finding the courage to submit your work for others to read, etc. All of these things take courage and should be recognized as achievements. Rick Riordan (Percy Jackson series), Wendelin Van Draanen (Sammy Keyes series), and Kelley Armstrong (Darkest Powers series). They all have great voices that leap off the page with the very first sentence. Voice is the most important thing to me when choosing books to read. If a book has a great voice, I’ll read it—regardless of the genre. Kelly, where can our readers find more about you, your books and your growing career? Kelly, thank you for visiting with us. I look forward to working with you as a fellow “Angel” at Guardian Angel Publishing. Best of luck to you and May the Best Dog Win! Congratulations, Kelly. Welcome to a wonderful house! And, Kai, thanks for the interview. Always so nice to visit your blog. Thank you for having me, Kai! And for welcoming me to the Guardian Angel family. I'm so happy to be joining such a great house. I'll be popping in and out so if anyone has questions, please feel free to leave them in the comments. Your book sounds good, Kelly. Thanks for telling us about it, Kai. Kai, thanks for featuring Kelly today. Janet, thank you very much! Barbara, thank you and I'm glad you found the tips helpful. Kelly, it is a pleasure hosting you on the blog. Thank you for participating in the weekly feature. I love learning more about fellow authors. Thanks everybody for reading and commenting! Anonymous, thank you very much! I'm delighted to be part of the GAP family. Stephen, thanks for stopping by. Kai, thank you again for having me! Kelly, Your books sounds fun and kid friendly. Kids love books about animals, especially dogs. Welcome to the Angels list. Great writers and illustrators here mate. We all help and support each other. Thanks, Margot! So far my book has been getting some good responses from kids, and nothing could make me happier. I'm really looking forward to moving ahead with my GAP picture book. I can't wait to see which amazing illustrator I'll be paired with. Terrific interview! Kai, thanks for including Kelly! Great interview. Kelly, excellent advice, and who doesn't love Rick Riordin? Margot, William and DM, thanks for reading and commenting. So great to hear from you all. William, thanks for stopping by. I'm glad you enjoyed the interview. DM, Rick Riordan is the best, isn't he? That is a great interview Kai! Kelly, you give great advice. Great advice, Kelly. Looking forward to your new book with Guardian Angel! Mike, thanks. I'm glad you found my advice helpful. Claudine, thank you. I'm really excited to work with Guardian Angel Publishing. Thanks for sharing this, Kai. Congratulations, Kelly, and welcome to Guardian Angel Publishing! Good luck, Kelly! It was a book about animals (Charlotte's Web) that made me fall in love with books. And you gave the best advice any writer can get: one learns more from reading the authors they love than they'll ever get from any writing course. I like the advice about celebrating on the way. You're right. The small successes make the venture worthwhile. Welcome to the GAP family. We're a raucous group, but supportive. Good luck. Connie, thank you very much! Norma, it really is the best way to research the craft, and it's fun! Cat, that was a great book, wasn't it. A small success is still a success. At least that's the way I look at it. J. Aday, I've heard GAP is a very supportive group. I couldn't be happier to join the family.